The latest photo blog update has been released. Head over to the blog to read see why Ekka is Epic. I have been going through some of my old projects that were pretty cool, but never really finished. I decided to start putting them here, instead of relegating them to the dark corners of my hard drive. 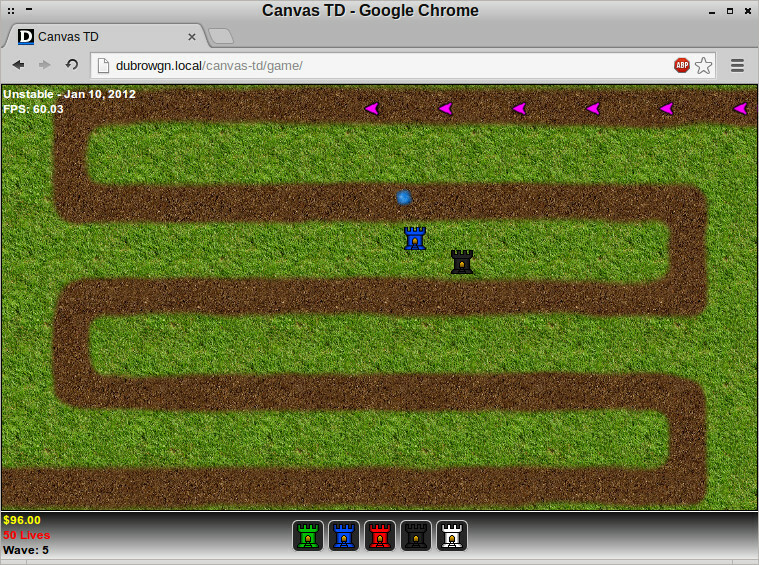 The first project going live is called Canvas TD. Build defensive towers to keep the bad guys from reaching the end of the road. Each tower has its own unique capabilities, so plan your tower organization wisely! Note: The red towers are broken in this version. It's best to avoid them. The lastes installment of photos from Australia has arrived. Head over to the blog to read commentary and look through pictures for A Visit to Dreamworld. The second installation of photos from Australia is up. Check it out! The first Australian photo blog is up! Read it here.